Over the last two weeks, the University of Missouri­–St. 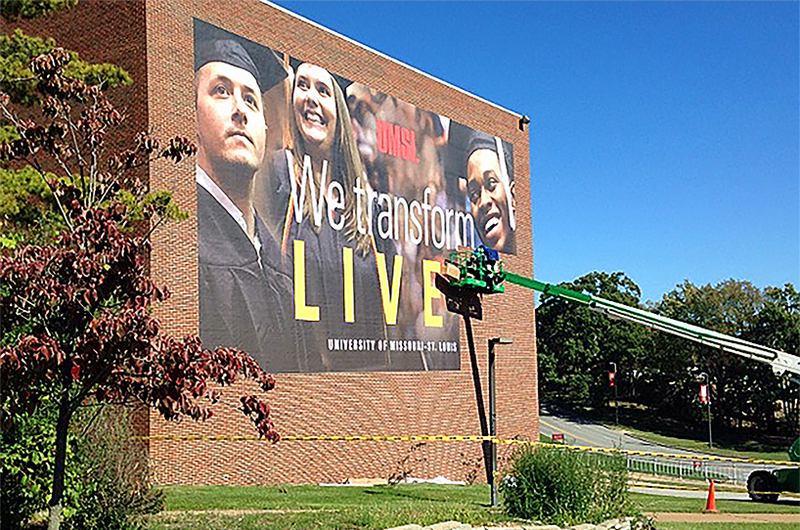 Louis made its new mission statement “We Transform Lives” a physical part of campus by installing large-scale banners on the sides of three buildings along Natural Bridge Road. 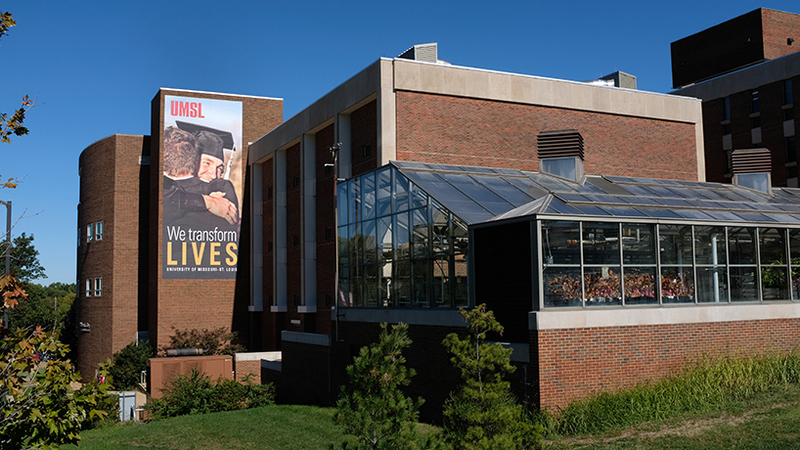 With the release of the 2018-23 strategic plan, UMSL declared its mission to reshape the lives of people, particularly students, through “exceptional educational, research and engagement experiences that inform, prepare, challenge and inspire.” UMSL aims to impact individuals and communities that comprise the greater St. Louis region and beyond. A team in University Marketing and Communications designed and implemented the banners. Lead Senior Graphic Designer Wendy Allison explained that the three sites were selected to be visible both to the internal UMSL community and an external audience. Web and Graphic Designer Lori Austin designed the banners. She decided on using images from commencement because graduation is an emotional and significant milestone that represents student accomplishment. Adam Crocco of Craftsman Industries installed the decals. 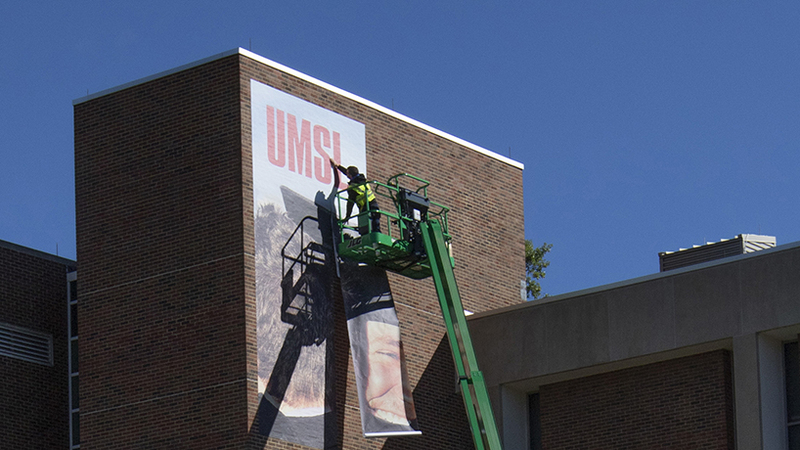 He completed a banner on the science complex on Oct. 11 and one on the Music Building last Thursday. The final banner began being added to the J.C. Penney Conference Center on Friday and was completed on Monday. 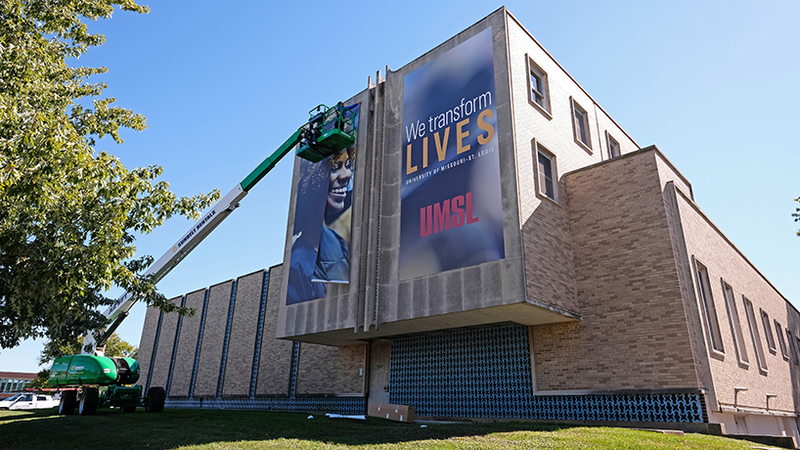 The decals are part of a larger campaign to increase the community’s awareness of UMSL’s new mission statement.